Incorporated in 1992, Romy Computer Services (RCS) is a family owned and operated business and has been providing Computers, Computer Services, Networking Services and Computer Peripherals for over 25 years. RCS provides services from Washington State to Massachusetts, from California to Florida. We provide systems management and network management as well as support. 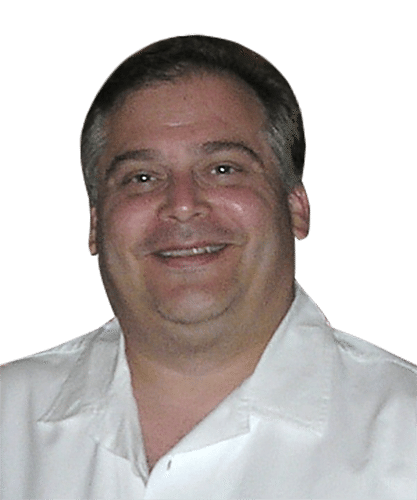 Romy specializes in small business and home offices as well as in personal services. Our almost immediate response time and our devotion to protecting your data and to designing your systems with redundancy, allowing us to get you operational in the most extreme circumstances, has placed Romy Computers ahead of other IT houses. As a “concierge” service provider, RCS provides our customers a virtual IT service with quick response times and a sense of partnership in your business. We will manage all aspects of your computer world in a proactive, responsive and reasonably priced manner. Located in Parkland for over 16 years, RCS has also been a major contributor to our local community. Romy was instrumental in developing, marketing and providing both support and funding to the “SmartStart” initiative at the Parkland Public Library. It is a student run and operated free tutoring service, which was instituted in 2013, and has been providing tutoring services in all subject to hundreds of students from grade school to High School over the years. 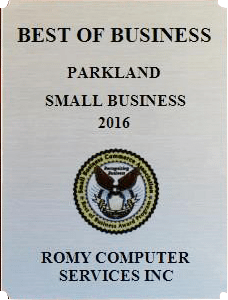 As Listed in the South Florida Business Journal “Lists” for over a decade, “Parklands’ Best of Business” (“Small Business” and “Parkland Computer Systems Design Services” )”, “MerchantCircle” as well as a number of other awards over the years, RCS has been well recognized for the level of services and support we have been providing to our customers for over ¼ decade. “R-O-M-Y” the only four-letter word that actually fixes your computer problem!! Copyright © 2019 Parkland Coral Springs Business Group. All Rights Reserved.